Where do I find a lawyer in Massachusetts? Lawyers in Massachusetts are better able to interpret that state and local laws associated with the jurisdiction. The history of the rule of law in Massachusetts in lengthy and the laws themselves are codified in the General Laws of Massachusetts. Finding a Massachusetts lawyer is advantageous for a number of reasons when dealing in an unfamiliar jurisdiction. Gun control laws are an excellent example of how legislation varies by location. Licensing for all firearms is mandatory and there are five types of licenses that permit the holder to purchase and own certain classes of weapons, with the lowest class reserved for mace and pepper spray and the highest class being a heavily restricted license for machine guns. Additionally, individual towns in Massachusetts impose their own restrictions on certain common licenses, further complicating Massachusetts law. This licensing scheme can be complicated and the advice of a Massachusetts can be invaluable when charged with unlicensed possession or merely trying to determine if you are complying with the law. This Is just one example that Massachusetts lawyers that are familiar with these local laws can help you if you find yourself in trouble with the law due to state or local laws and have your cases tried in that jurisdiction. Why would I need a Massachusetts lawyer? The Massachusetts legal code is complicated and unique to the state. Massachusetts lawyers, by virtue of years of experience practicing law in the state, will have the best knowledge of the system and ways that they may be able to help you if you ever unintentionally violate Massachusetts law. The Massachusetts lawyer has taken and passed the Multistate Bar Exam and also completed state-specific essays that demonstrate knowledge of Massachusetts law. What are organizations of Massachusetts lawyers? The Massachusetts Bar Association is the primary associations for Massachusetts lawyers and membership is not mandatory. 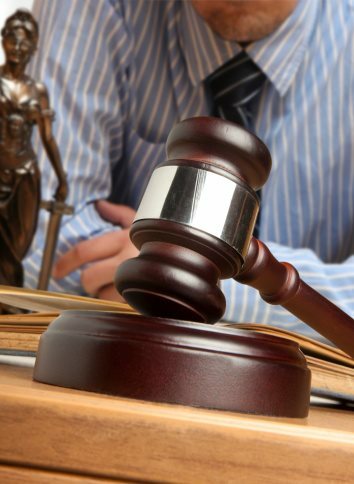 Dues are based on length of time spent practicing law, starting for the year that the lawyer was admitted to the bar. Individuals that serve more than 50 years while a member of the Bar receive free lifetime membership to the MBA. Recent admissions to the par for example, pay the lowest dues at $75 a year. When joining the MBA, attorneys may choose sections and divisions related to their practice, which entitles them to membership in practice groups that develop education programs possible appointment to councils with in the section. Additionally, there are a number of benefits and discounts available to Bar Association members. The MBA regularly publishes works such as the Massachusetts Law Review and ethics opinions to help guide members while providing information to the general public about the state of legal affairs in the State. The MBA also maintains a comprehensive directory of its members for the purposes of connecting member lawyers with clients. Among services available to Massachusetts lawyers are fee arbitration, ethical advice and mentoring for newer legal professionals. Lastly, the MBA maintains a lawyer referral service that screens and connects clients to participating Massachusetts lawyers. How do I know my Massachusetts lawyer is legitimate? If you cannot find your attorney among the State Bar Association directory, you should be wary. Membership is not mandatory, but it is customary and legitimizes practicing lawyers in good standing as membership is otherwise not allowed for unscrupulous lawyers. If the attorney does not have admission to the state bar, you should examine his or her credentials. Ensure that the law degree is from an accredited law school and that the lawyer has evidence of admission to the bar. If the lawyer does not produce these things, then this is likely not an individual that should be dispensing legal advice. What are the typical rates of a Massachusetts lawyer? As with all legal practices, fees are usually not set in stone and subject to change with the economic needs of the client. In fact, for criminal and negligence cases, fees are typically not advertised and are usually determined by consultation. Typical rules apply, such as working on contingency for accident cases, variable fees for complicated cases and flat fees for providing legal services, such as writing documents. Massachusetts bans the use of contingency arrangements in certain cases, such as divorce proceedings, so it is imperative that the lawyer and client ensure that their arrangement is legitimate. These flat fees should give a general idea of how much some Massachusetts lawyers charge to perform services. Unlike personal injury and other litigation, legal service fees are advertised, allowing the client to pick the best deal. There must be considerations for the quality of the lawyer and the document produced, of course. Some lawyers may have alternate pay plans or different arrangements to pay fees, so it is best to check with the lawyer during the consultation for alternate fee arrangements. Be aware of hidden fees or fees for using ancillary services and personnel, such as the service of a paralegal. What are questions to ask Massachusetts lawyers? A Massachusetts paternity lawyer can assist paternity cases by informing a client of his rights under state and local law. In the state of Massachusetts, paternity can be established through an agreement between the parents or at the hospital at the time of the baby’s birth. The law had been changed in 1994, as prior to that, the father’s name of the birth certificate was a presumption of paternity and paternity could only be otherwise determined by court order. If a client wishes to disprove paternity, a Massachusetts paternity lawyer can help the father overcome presumptions of paternity, including written arrangement to care for the child, marriage while the mother was pregnant and the father’s name listed on the birth certificate. On the other hand, a Massachusetts paternity lawyer can help to prove paternity by subpoenaing genetic testing results, and enforcing prior agreements while ensuring visitation and custody. Without the mother’s consent, a potential father without a paternity right cannot see or take his child, which is why a Massachusetts paternity lawyer is important for fathers wishing to gain custody. Adopting parents may run into a legal roadblock if the child they intend to adopt is “not legally free.” This situation is the birth parents have yet to relinquish their parental rights, which is where Massachusetts adoption lawyers can be of service. The Massachusetts state government warns that the adoption of “not legally free” children is a legal risk that may see the child returned to the birth parents by court order. Without the services of a Massachusetts adoption lawyer, the courts can and if possible, will place the child back with its parents. In those situations, a Massachusetts adoption lawyer is necessary to protect your rights to the adopted child. Massachusetts adoption lawyers are generally up-to-date on developments to state laws that could help or hurt your custody case and ensure that the adoption is legally sound in the first place. Foster care is not adoption, but under Massachusetts law, foster parents can petition to adopt foster children. This will be a lengthy process that may end in the termination of the parental rights of the birth parents. In the event that the birth parents of a child attempt to reclaim custody of the child, Massachusetts adoption lawyers will be able to contest the case and prevent the birth parents from reclaiming rights to their child if they remain unfit to parent. Lastly, a Massachusetts adoption lawyer will also be able to formulate legal agreements with the birth parents to give up certain rights, or add provisions for the child to meet the parents once he or she reaches a certain age. This is at the discretion of the adopting family and Massachusetts adoption lawyers can help expedite and decrypt the process to ensure the adopted child remains in a stable home. Whenever there is a legal risk involved in an adoption, the adopting parents are best served by seeking out a Massachusetts adoption lawyer to protect their rights and keep the child in their home. After a divorce in the state of Massachusetts, alimony is determined with consideration to the duration of the marriage, earning capacities of the parties, standard of living prior to divorce and potential for future earnings. Generally, marriages lasting more than twenty years may have one spouse paying significantly more than those in shorter marriages. There are no specific state laws dictating alimony calculation, so a Massachusetts spousal support lawyer can help a client receive a more equitable and favorable alimony settlement. For spouses that must pay alimony, the Massachusetts spousal support lawyer will looks for factors to lessen the amount of spousal support, or dictate how it is spent, so it best supports any children the couple had prior to divorce. For a spouse seeking spousal support, a Massachusetts spousal support lawyer will be able to fight on your behalf, in court, to adjust the balance of payments accordingly. The Massachusetts spousal support lawyer in this case will use the aforementioned considerations for the earning potential of the other spouse to obtain the best possible spousal support. In general, the better the lawyer, the more favorable the alimony payments will be, due to the flexibility of the law and the leeway at which the Massachusetts spousal support lawyers have to argue their case. Most Massachusetts spousal support lawyers will offer free consultations, so individuals in court are strongly urged to consider hiring an attorney. Remember that adjustments can be made in court later on and both spouses have the right to demand more or less payments be made. In Massachusetts, OUI lawyers can help individuals caught under the influence of drugs and alcohol receive lenient or even no penalties. While this is by no means the norm, in the event of a serious violation of OUI laws, a Massachusetts OUI lawyer is a necessity to serve as the client’s advocate, working to strike deals and prevent the maximum penalty from being enforced. This may mean the Massachusetts OUI lawyer recommending a guilty plea to attributing the client’s failure on a field sobriety tests to a preexisting health condition, such as a leg injury. When meeting with Massachusetts OUI lawyer, bring all information that can help or potentially hurt your case, including the ticket, results of breathalyzer tests and your account of the police stop and subsequent actions. Massachusetts OUI lawyers will provide forms and worksheets that document time, location and time of alcohol consumed to prepare a possible defense. A first DUI offense in Massachusetts can carry penalties as severe as 30 months in jail, a fine ranging from $500 – $5,000 dollars and a one year license suspension. There are additional fines paid into a DUI victim’s trust fund. These penalties escalate with each offense, with minimum jail time, and ignition locks on the violator’s car. A good Massachusetts OUI lawyer is necessary in this case to lessen the more severe punishments and present a reasonable case for your innocence, or at least lesser liability. Massachusetts law also offers options for alternative dispositions where the client can have alternative punishments, including probation and alcohol education classes. There are many ways by which an individual may find lawyers in Massachusetts. You may use this website’s search function to find a lawyer in Massachusetts. Additionally, you may use the Massachusetts lawyer directory, compiled by the Massachusetts Bar Association. MBA membership is not mandatory, but membership is customary for legal professionals and provides a number of benefits to member lawyers. Massachusetts directories are available that list attorneys that have met the standards of the listing organization. Check the criteria of the listings when trying to find a lawyer in Massachusetts. When going to court in Massachusetts, it is important to have a lawyer in Massachusetts that is aware and practiced in specific state and local laws, so that you may receive the best possible legal advice from an individual knowledgeable in the law. Like other parts of the country, lawyers in Massachusetts usually offer free consultations and work on contingency for accident and negligence cases. For all other cases, expect lawyers in Massachusetts to charge standard hourly and flat rates for providing legal services. Remember that even if you are from outside the state and have a trusted lawyer in your home jurisdiction, you may be better off finding an expert on Massachusetts laws that can serve as your lawyer. Massachusetts has a unique legal code and many laws are subject to change that may make it difficult for an out-of-state attorney to keep track of developments.